Being an esthetician for over seven years I have definitely tried my share of skincare lines. There are a ton of them out there and this particular line has stolen my heart for more than one reason. One reason why I love this line is that fact that it is paraben free and it works. A lot of skin and body products contain tons of parabens which can be harmful to your body. You can read more about parabens and why they are harmful to the body here. One of my new years goals is to completely get rid of all products I have that contain parabens and switch out for better ones. I have been using this line on myself, my clients and family and friends for almost a year now. After the first time I used this product I could feel a difference in my skin. My sister even told me that this is best she has ever seen my skin and trust me it wasn’t just a nice sisterly comment. It has improved the texture softness and dryness in my skin. 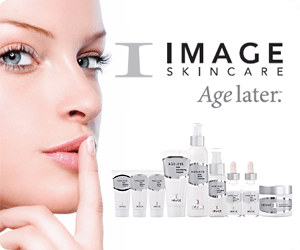 I have seen it help with fine lines, aging, pigmentation and acne. My favorite product from this line is there Vital C hydrating anti-aging serum it feels like butter on my skin. If you are wanting to know more about this skincare line you can check out their website here or contact me for more info. Love this product! I am also an esthetician and I can say this line really works! So glad its a recommendation on your blog!